Pharyngitis and tonsillitis account for over 10% of all office visits to primary care clinicians and 50% of outpatient antibiotic use. The most appropriate management continues to be debated because some of the issues are deceptively complex, but consensus has increased in recent years. The main concern is determining who is likely to have a group A -beta hemolytic streptococcal infection (GABHS), as this can lead to subsequent complications such as rheumatic fever and glomerular nephritis. These four features (the Centor criteria), when present, strongly suggest GABHS, and some would treat regardless of laboratory results. When three of the four are present, laboratory sensitivity of rapid antigen testing exceeds 90%. When only one criterion is present, GABHS is unlikely. 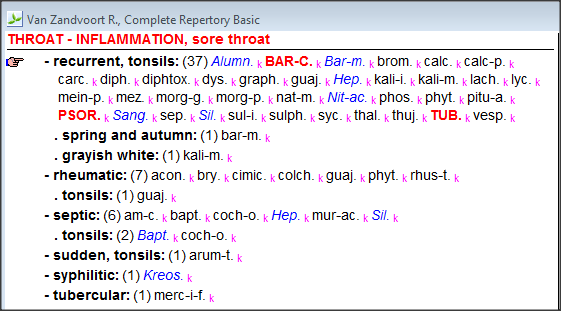 Sore throat may be severe, with odynophagia, tender adenopathy, and a scarlatiniform rash. An elevated white count and left shift are also possible. 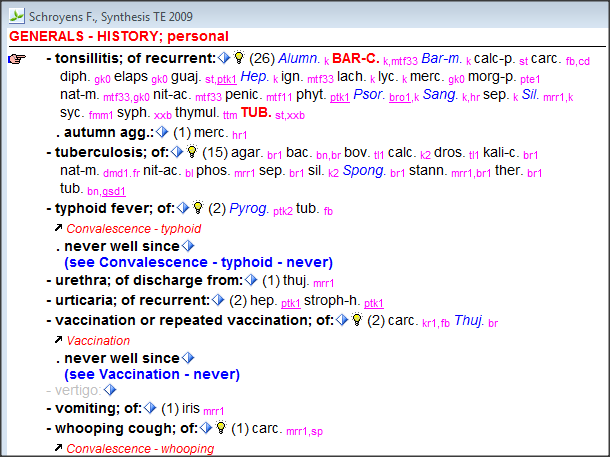 Hoarseness, cough, and coryza are not suggestive of this disease. 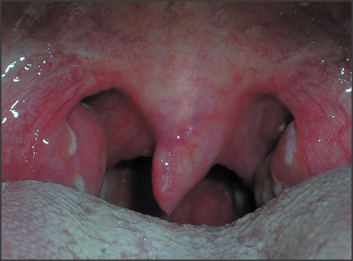 Tonsillitis is a very common form of disease in children. The so called modern medicine declares that its a infection or inflammation of the tonsils caused by such and such micro organisms. They don't know that it is actually a result of a disease and not the disease itself. Its the effect not the cause. The cause lies within the living organism. ITS ABSURD OR RIDICULOUS TO HAVE TONSILLECTOMY DONE . Here homeopathy comes as a blessing to patients. Homeopathy can reduce the inflammation and completely root out the tendency to tonsillitis. I have had more success in treating these cases on determining the family and the past history of the patients. TUBERCULINUM,BARYTA CARB, SILECIA and HEPAR SULPH has given me more success. The synthesis repertory give around 26 remedies ,32 remedies in murphy's repertory and 37 in complete repertory. These rubrics can be taken.